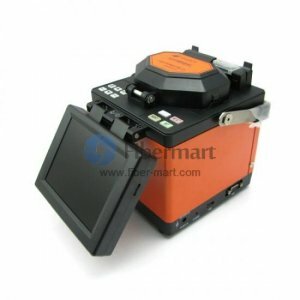 Fiber Optic Fusion splicer is a must in the process of properly joining two bare optical fibers together. Since splicing fiber optic cables together is a much more complex process than splicing metal wires, it works together with the fiber cleaver to meet the end need. Before fiber optic fusion splicing, we need to cut the fiber optic cable and take away all fiber cable jackets, then use fiber optic cleaver to make the fiberglass end face ready, after finishing these work we can use the fiber fusion splicer to melt the two fiber glass together. This fusion splicer is a well performed automated fusion-splicing machines. Now the fusion splicer come in two varieties, single fiber splicer and ribbon splicer or mass fusion splicer. We offer a range of fiber Fusion splicers, such as Fujikura fusion splicer and Sumitomo fusion splicer, Fitel Furukawa fusion splicer. Contact us at [email protected] or Live Chat with us. Save your money & time right now!